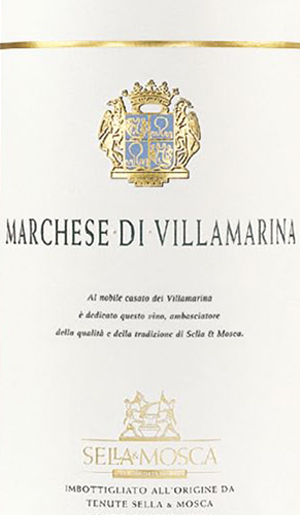 Sella&Mosca has dedicated to the noble house of Villamarina its most prestigious wine. Selected strains of Cabernet Sauvignon and long years of fine wood resting. intense and persistent aroma, notes of red fruits and spices. mature taste, warm chorusing fienosi and oak. Recommended with red meats and game. THE WINE Sella&Mosca’s most prestigious wine is dedicated to the noble Villamarina family and has repeatedly won awards in the leading international competitions. Painstaking care is lavished on its production, during both the tending of the old, selected Cabernet Sauvignon vines and the long years of ageing in top-quality oak and in bottle. Its aroma is concentrated and lingering, with pleasant notes of red fruit and attractive vanilla, and hints of spices. The mature palate offers alluring sensations of hay and well-calibrated oak. Recommended with roast and braised red meats and game. THE FOUNDERS Over a century has passed since two adventurous Piedmontese men started to drain the land that is now occupied by over 541 hectares of Sella&Mosca vineyards. This very promising area with its enchanting landscape was the setting for the fortunate encounter of these two adventurous men, who were fascinated by the virgin terrain: the engineer Sella, nephew of the famous statesman Quintino Sella, and the lawyer Mosca.These are the origins of Sella&Mosca, which at the turn of the twentieth century transformed pastureland into fertile vineyards, commencing the most prestigious wine production in Sardinia . Today visitors to the charming estate relive this pioneering atmosphere in a continuous kaleidoscope of fragrances, perfumes and aromas that express the character of the powerful, sunny land and greatly contribute to the unmistakable personality of its wines. Respect for the place and the culture of wine, and closeness to the land and its traditions are the rules handed down by the founders, which have always inspired all Sella&Mosca’s work and determined its success. THE SELLA & MOSCA BRAND The founders of Sella&Mosca were keen amateur Egyptologists and great travellers. 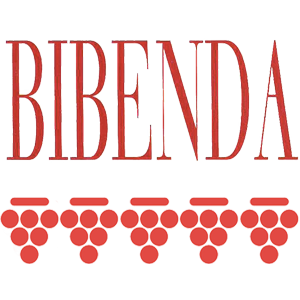 Their logo depicts a wine-pressing scene inspired by the Ancient Egyptian Kingdom. It is believed to be a stylised reproduction of a scene shown on a low relief in the mastaba of Mereruka, Vizier of King Teti, at Saqqara. The relief depicts five men using long poles to press the grapes contained in a sack, so that the juice filters through the fabric and falls into the jar below. MUSEUM The Sella&Mosca estate is also home to an interesting museum, divided into two sections. The first is dedicated to the company’s history and offers an intriguing historical look at the winery’s pioneering activities at the turn of the twentieth century, illustrated in photographs and with vintage winemaking equipment. The second provides an archaeological insight into the Anghelu Ruju prehistoric necropolis, and its people and culture, discovered in 1903 on the Sella&Mosca estate. Tasting Its aroma is concentrated and lingering, with pleasant notes of red fruit and attractive vanilla, and hints of spices. The mature palate offers alluring sensations of hay and well-calibrated oak. Sella&Mosca’s most prestigious wine is dedicated to the noble Villamarina family and has repeatedly won awards in the leading international competitions. Painstaking care is lavished on its production, during both the tending of the old, selected Cabernet Sauvignon vines and the long years of ageing in top-quality oak and in bottle. 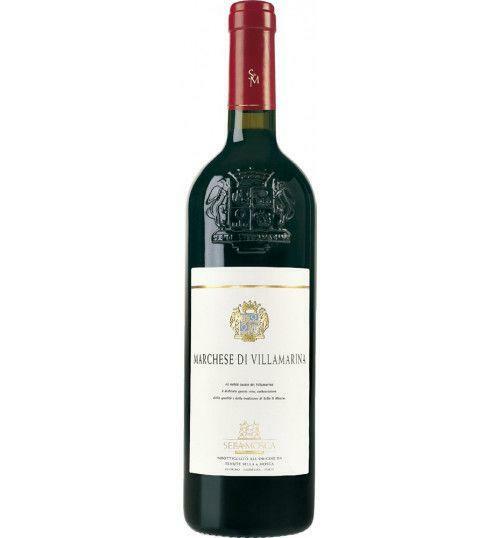 Its aroma is concentrated and lingering, with pleasant notes of red fruit and attractive vanilla, and hints of spices. The mature palate offers alluring sensations of hay and well-calibrated oak. Recommended with roast and braised red meats and game. The founders of Sella&Mosca were keen amateur Egyptologists and great travellers. Their logo depicts a wine-pressing scene inspired by the Ancient Egyptian Kingdom. It is believed to be a stylised reproduction of a scene shown on a low relief in the mastaba of Mereruka, Vizier of King Teti, at Saqqara. The relief depicts five men using long poles to press the grapes contained in a sack, so that the juice filters through the fabric and falls into the jar below.